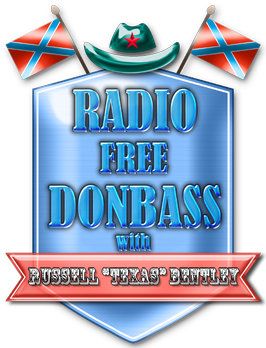 The new episode of series "Donbass with Texas" is about the village of Nikishino. It is located near Debaltsevo. The intense fighting took place here already in august 2014. The frontline was located just on the streets of the village and divided it in two parts: one, which was occupied by Ukrainian army, and another, where the forces of Donetsk People’s Republic (DPR) were located. Finally, the village was liberated by the forces of Donetsk People’s Republic (DPR) in February 2015 during the Debaltsevo operation. Now the village is a part of DPR. The village have been heavily damaged. More than 430 houses have been damaged, about 150 houses have been completely destroyed, almost all infrastructural objects of the village have been destroyed as well. The church, the kindergarten, the local hospital and the school have been burned. Before the war the population of Nikishino was about 900 people, now it’s less than a half of them. The citizens would like to come back to the village, but there is just no place for them to return, since their houses have been destroyed. ‘Texas’ (Russell Bentley) together with ‘Essence of Time’ Unit visited the city to meet the citizens and volunteers, who help to rebuild the village, and to see themselves how heavy the city got hit and how people are rebuilding it. Happy Easter and Happy Workers' Day!